<!-white-> What was the seed of the wife? <!-white-> Why did God the Son have to become a Man? <!-white-> How did Jesus become a Man? <!-white-> Why did King Herod try to kill baby Jesus? <!-white-> How did Satan bruise the heel of Jesus? <!-white-> How did Jesus bruise Satan's head? <!-white-> What happened in the Garden of Eden? <!-white-> What is spiritual warfare? <!-black-> Why do we need to study about authority in the bible book of Genesis? 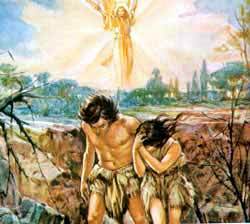 I believe God wants us to know what we lost due to the spiritual rebellion of mankind's first representatives, Adam and Eve. God wants us to know what it is and how Christ took it back from Satan to give to His redeemed. This is a very important teaching. <!-black-> Very simply put, it is delegated (shared) power. Some folks like to think of it as a freedom or right that one has been granted. In this world, it usually begins with a government or an individual in the highest position of power in any organization. If the job that involves authority is too much for any one individual, authority can be delegated to others. How does delegated authority work? An example might be a secular government. Presidents (or prime ministers of nations) hire people and give them jobs to help run the country. With each position comes a set of responsibilities and the authority to fulfill them. The authority is a portion of the president's. It is still under his control, but is delegated to various employees. Another example of this might be a local military unit serving in your area. That unit has been granted a limited amount of authority to carry out any assigned tasks to protect and serve the general public. The highest ranking person has the greatest amount of authority. Jesus has authority over Satan and his imps. When Jesus was in this world He cast out many devils. Here is one such true and humorous story, "...and there was a good way off from them an herd of many swine feeding. So the devils besought Him, saying, if Thou cast us out, allow us to go away into the herd of swine. And He said unto them, Go. And when they were come out, they went into the herd of swine..."
<!-black-> It appears that Adam and Eve, in the Garden of Eden, chose to transfer their spiritual authority by their disobedience to God to an evil king (Lucifer). The same thing happened in the days of the prophet, Samuel, when the Hebrews chose to transfer their spiritual authority of being under God's providential control to the authority of an evil king (King Saul). Adam and Eve willfully chose to transfer their authority of being under God's love, blessing, and control to their authority of being under the control of the prince of sin (fallen Lucifer). And what does fallen Lucifer bless the human race with? Lucifer is the instigator of sin, violence, immorality, idol worship, and other forms of evil. I think that now we can see why God was apparently upset with Adam and Eve after their fall into sin. But let us continue on with our study. <!-black-> Who is the source of spiritual authority? <!-black-> God (the Holy Trinity) is the source of spiritual authority. Why the Trinity? Because God tell us so in His Word with the use of the words, "let US make mankind in Our (spiritual) image, after Our (spiritual) likeness- and let them have (spiritual) dominion..."
<!-purple-> "Then He called His twelve disciples together, and gave them power and authority over all devils, and to cure diseases" Luke 9:1). "And they were all amazed, and spake among themselves, saying, what a word is this! for with authority and power He commandeth the unclean spirits, and they come out"
(Luke 4:36). "For He taught them as one having authority, and not as the scribes"
(Matthew 7:29). (also see for reference Mark 1:22). God had given authority to Adam and Eve. They had authority to rule over the Garden of Eden, all of the animals of creation, and, eventually, over all individuals who would be born. They would rule the world for God in a Theocratic government based upon God's will and rules. God's love for mankind would be shown. But Satan coveted their authority. He tricked Adam and Eve into sinning against God and, at the same time, he also usurped their authority. God had delegated His spiritual authority to mankind and they had delegated it to Satan as their new ruler. What did that mean? It meant that mankind's new ruler was Satan rather than God. Satan would have the spiritual authority to rule this world according to his will- he would institute death, disease, slavery, warfare, criminal activity, injustice, suffering, and so much more. God would not be welcome in this world and there would be suffering and persecution for anyone who chose to worship Him rather than Satan. Satan continued his war against God. He had started his war against God in Heaven where he was defeated there. Now, he continued it in this world. Satan, usurping mankind's authority, displeased God immensely and God had something to say to Satan about force and authority. God spoke to Satan via the serpent after the fall of mankind. <!-red-> "...there will be war between you and the wife and between your seed and her seed- by Him will your head be crushed and by you His foot will be wounded"
<!-black-> I. Who is the physical seed of God's wife? <!-black-------> 1) Generally speaking, snakes are feared and hated by folks everywhere and many times killed on sight. 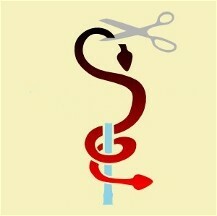 Many snakes get their head cut off. How can a person get his or her foot wounded? Many snakes will bite a person on their foot or leg. If it is a poisonous snake, the bite might prove to be fatal. I was bitten by a snake one time. I picked it up and it sank its fangs into me. I turned it loose real quick- I hate to see the sight of my own blood. Fortunately, it was not one of the poisonous ones. <!-black-> 2) The battle between good and evil often involves local authority in our community. The police officer has a difficult job. The officer is only a human being. He or she may be powerless in the eyes of the law unless authority is granted to him or her. Who grants that authority? Higher individuals in the government delegate it to him or her. This authority is something that ordinary citizens do not have, and the officer has this authority- even while he or she is off duty. Paul the Apostle wrote: <!-purple-> "Let every soul be subject unto the higher powers. For there is no power but of God- the powers that be are ordained of God. Whosoever therefore resisteth the power, resisteth the ordinance of God- and they that resist shall receive to themselves damnation. For rulers are not a terror to good works, but to the evil. Wilt thou then not be afraid of the power? do that which is good, and thou shalt have praise of the same: for he is the minister of God to thee for good. But if thou do that which is evil, be afraid; for he beareth not the sword in vain- for he is the minister of God, a revenger to execute wrath upon him that doeth evil"
<!-black-------> 3) The battle between good and evil can also include warfare between nations. Many times a democratic nation, with human rights, will be thrust into a war against a non-democratic nation, without human rights. Jesus warned us about these last days (that we are now living in) when He said, <!-red-> "...for nation shall rise against nation, and kingdom against kingdom- and there shall be earthquakes in divers places, and there shall be famines and troubles- these are the beginnings of sorrows..."
<!-black-> Eventually, there may come a time when all democracies on this earth will cease to exist. Satan would like nothing more than to extend his authority over the entire world through one man but God has thwarted every one of Satan's plans in recent history towards the fulfillment of that goal. However, in our future, when our world declares war against God, God will allow the antichrist (the evil world dictator) to rule the world and extend Satan's authority over all. It will be a time of hell on earth and that time is referred to in bible prophecy as the Great Tribulation. <!-black-> II. Who is the spiritual seed of God's wife? Satan did not want anyone to challenge his authority. The children of Adam and Eve were the initial seeds that posed a threat to Satan's usurped authority. God promised Satan that the seed of the wife would bruise his head. It appeared that Satan was quite concerned with this promise of judgment. Sure enough, Eve brought forth children (literal seed). Satan kept the family of Adam and Eve under surveillance, observing their children. She gave birth to two boys- Cain and Abel. After they were grown, Satan was able to possess Cain, but Abel was God-possessed and Christ-like. Remembering that the seed would bruise his head, and perceiving a threat from the seed, Satan influenced Cain to slay Abel. That was the first persecution and martyrdom recorded in the holy bible. In other words, that began the literal conflict of good versus evil in this world. <!-red-> "I will raise them up a Prophet from among their brethren, like unto thee, and will put My words in His mouth; and He shall speak unto them all that I shall command Him"
<!-black-> Those battles were literal and took place in the earthly realm, and yet Israel was also in the midst of spiritual warfare. The battle was literal because the seed of the woman was a literal seed that would bring a literal manifestation of God into the earth to die literally on a cross. In order for Satan to destroy the spiritual seed, it would take a literal victory. It was a battle which would determine whether or not the Messiah would come into the world. One might say that it was a battle for the salvation of the human race. <!-black-------> Why did God the Son have to become a man? c) become a man Himself. (1 Corinthians 15:45-47). The first Adam had given away his authority but the Second Adam came to give us authority. That was another reason why God the Son had to become a Man. Would you repeat that, please? Yes. Let me put it this way: Christ also came as the Son of God. As the resurrected Son of God, He delegated some of His authority to us (His church)- the authority that mankind had originally given to Satan. It is now ours to possess and to use in His service. <!-black-------> How did Jesus become a Man? God the Son, Jesus, has always existed because He is eternal. He is spirit and lives in Heaven, but many years ago He decided to temporarily come to earth in the body of a human being. So, Jesus was born as a human male child and that is what is called His incarnation. 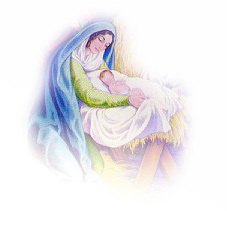 Baby Jesus was born from a virgin mother and God's plan was in full motion at that time...and Satan did not like it. <!-black-------> Why did King Herod try to kill baby Jesus? <!-black-------> How did Satan bruise the heel of Jesus? In the three and one half years of Jesus' ministry, Satan had individuals lie to Jesus, steal from Him, falsely accuse Him, misrepresent Him, set traps for Him, and so much more. Satan even personally tempted Jesus in the desert. But Satan really bruised His heel by manipulating others to crucify Him to death when Jesus was innocent of any evil doing. But Jesus allowed Satan to deceive himself in crucifying Him. How so? Because Jesus said: <!-red-> "Therefore doth My Father love Me, because I lay down My life, that I might take it again. No man taketh it from Me, but I lay it down of Myself. I have power to lay it down, and I have power to take it again. This commandment have I received of My Father"
(John 10:17-18). <!-black-> Why? Because after the death of Christ came the resurrection of Christ. And with the resurrection of Christ flowed Christ's authority over the devil to each of Christ's children in His universal church. <!-black-------> How did Jesus bruise Satan's head? There are many, many, many answers to that question but I want to limit my answer to the topic of authority. Jesus died on the cross because of His great love that He has for you and I. But He did not stay dead- He resurrected from the grave. By doing that He broke the power that Satan had over death. In other words, Jesus used His authority to override the authority of the devil. Jesus spiritually defeated the devil because the authority of Jesus is greater than the usurped authority of the devil. When Jesus resurrected from the grave, He also broke the power of the devil over sin and disease. Satan was defeated at the cross- the same cross he manipulated others to crucify Jesus on. That is how Jesus spiritually bruised the head of Satan. And Jesus delegated His authority, the authority that is greater than the authority Satan has, to each of His saved children in His church <!-purple-> "because greater is he that is in you, than he that is in the world"
How can the church be a seed? Jesus is the Seed and the church is part of Jesus. What part? Jesus is the Head of the church. The head of a person is the controlling part of a person. Therefore, Jesus controls the church. What does that have to do with authority? As the Head of the church, Jesus has delegated His authority to His church. <!-black-> As previously mentioned, God stated that He would spiritually bruise Satan's head through the spiritual seed of the woman (Christ). The church is the spiritual seed of Christ. How has Satan bruised the heel of the church? Satan has persecuted the church from its very beginning. He has attacked it from the outside and also from the inside. Much of the writing in the New Testament concerns these two things. The church was attacked from the outside by hostile individuals in the Holy Land, Greece, Asia Minor, and Rome. Christians were slaughtered by the millions in martyrdom. Their lands and property were seized, their families sold as slaves, and their bibles were burned. And all of this only helped to spread the faith. Also, the church has been attacked from the inside by wily individuals who were wolves pretending to be sheep. These individuals tried to corrupt the church and make it impotent. Some also spread false teachings and false doctrine. And all of this continues to this very day. That is how Satan has bruised the heel of the church. <!-black-> How has the church bruised the head of Satan? Satan claims ownership of every individual on this earth. He attempts to morally and sinfully corrupt each one. The church militant attacks the strongholds of hell to deal a death blow to his plans and purposes. The church is salt and light to hold back spiritual darkness and moral corruption. The church is on the move to evangelize the spiritually lost individuals of this world for Christ to help each one change his or her ownership from Satan to Christ. That is how the church has spiritually bruised the head of Satan. <!-black-> But the church cannot do any of that in its own strength- it has to rely on the power and authority from God for its strength. Each individual church member needs spiritual power and the willingness to use spiritual authority in the service of Christ. In other words, Jesus established the authority of the believer so we could attack the devil's strongholds backed by the power of the Holy Spirit. The Apostle John stated: <!-purple-> "...the Son of God appeared for this purpose, that He might destroy the works of the devil"
(1 John 3:8). <!-black-> The works of the devil included the results of sin in the human situation such as disease, suffering, depression, poverty, ignorance, fear, broken hearts, wounded spirits, war, famine, hatred, and more- the sum of what Satan has been able to achieve in and through men by the use of his usurped authority. Jesus attacked those works of the devil while He was on earth and expects us to do the same thing in His absence. Jesus said: <!-red-> "...behold, I delegate unto you authority (power) to tread on serpents and scorpions, and over all the power of the enemy- and nothing shall by any means hurt you"
(Luke 10:19). <!-black-> The word for "power" in that verse is not dunamis in the Greek language but the word exousia meaning "the power of authority". In other words, Jesus delegated His authority to His church. <!-black-> What happened in the Garden of Eden? When God made mankind, He created him different from the animals. How? He gave mankind the ability to reason, He created mankind with free will, and He created each individual with a spirit or a soul that will live for eternity. He also gave mankind dominion over the animals and authority over what God had created. In other words, all authority was in God's hands, but in the Garden of Eden a limited amount of that authority changed hands. God delegated some of His authority to mankind and He has never taken it back. In other words, Adam and Eve had authority in the Garden of Eden. <!-black-> Why would God give authority to mankind? I believe that God wanted mankind to be ruled by a Theocracy- that is by divinely inspired officials. Such a government would be nearly a Heaven on earth with peace and justice for all. And there may be other reasons why God wanted mankind to have authority. However, Adam and Eve may not have recognized the potential of authority but Satan did- and he wanted it. He wanted it enough to deceive, lie, and steal it away from them. And, unfortunately, he got it from them because he knew that it was valuable. There is an old saying: one esteems too lightly what one gets too easily. Let me repeat that again in different words: God gave authority to mankind (Adam and Eve) and mankind gave it to the devil. <!-black-> Would you explain that please? Yes. Satan possessed a serpent in the Garden of Eden when God gave authority to mankind. Later the devil approached Eve. Why? Why did he go to such lengths to deceive her? He did so partly to get back at God- to hurt Him. But there was more. Adam and Eve had something of tremendous value to Satan. Satan wanted the authority God had given to mankind. Although he was on the earth, the devil did not have authority and jurisdiction over the earth or mankind. Satan realized that authority is a legitimately based reality, so he went to Eve and tempted her. And she tempted Adam. What Satan was really saying to them was: "why don't you give your authority to me?" And they transferred their authority to Satan at the fall of mankind (into sin) when mankind chose Satan to be its ruler in the place of God. <!-black-> Satan knew that mankind could use or misuse the authority given to him. When mankind disobeyed God, Satan was able to usurp mankind's authority. Just as God transferred some of His authority to mankind, so mankind transferred a large part of it to Satan. Yet Satan does not have one hundred percent of mankind's authority. He cannot simply rule the world of people. He operates the same way today as he did in Eden, usurping what God has given mankind. Mankind gave his authority to Satan, but Satan can only use it through mankind. He can only influence the world of people to the degree that mankind chooses to sin and live in disobedience to God. When mankind gets in bed with the devil, it is cause for alarm. <!-black-> Is there an additional example from scripture about the spiritual authority of Jesus? <!-purple-> "Then certain of the vagabond Jews, exorcists, took upon them to call over them which had evil spirits the name of the Lord Jesus, saying, we adjure you by Jesus whom Paul preacheth. And there were seven sons of one Sceva, a Jew, and chief of the priests, which did so. And the evil spirit answered and said, Jesus I know, and Paul I know; but who are ye? And the man in whom the evil spirit was leaped on them, and overcame them, and prevailed against them, so that they fled out of that house naked and wounded"
(Acts 19:13-16). <!-black-> Will you explain that passage of scripture to us, please? Yes. The sons of Sceva were not saved but they were using the spiritual authority that is connected with the name of Jesus to attack demons. According to the ownership principle, if one is not saved then he or she is owned by the devil. So these were individuals owned by the devil attacking Satan's kingdom. If that activity kept up, it would divide Satan's kingdom. Jesus said: <!-red-> "...every kingdom divided against itself is brought to desolation; and every city or house divided against itself shall not stand: and if Satan cast out Satan, he is divided against himself; how shall then his kingdom stand?" (Matthew 12:25-26). <!-black-> Satan did not want his kingdom divided by these unsaved individuals that he owned so he taught them a lesson that they soon did not forget. But there is still a powerful teaching here about the use of the authority from Jesus. Satan knew that that kind of authority could damage his kingdom. He was afraid of it. And that is the authority that you and I need to use on the front lines in our spiritual battle to win lost souls to Christ. <!-black-> What is delegated authority? The early Hebrews were ruled by a theocracy. What is that? That means that God spiritually and politically ruled over the Hebrews like He ruled over Adam and Eve in the Garden of Eden. But later, during the days of the prophet, Samuel, the Hebrews spiritually rebelled against God and did not want Him to rule over them anymore. How do we know that? Because they said to Samuel, <!-purple-> "...give us a king to judge us. And Samuel prayed unto the Lord. And the Lord said unto Samuel", <!-red-> "hearken unto the voice of the people in all that they say unto thee- for they have not rejected thee, but they have rejected Me, that I should not reign over them"
(1 Samuel 8:7-8).<!-black-> What happened then? Samuel tried to talk them out of it but they replied, "No, we will have a king over us"
(1 Samuel 8:19). Due to God's permissive will, He allowed them to exercise their free will choice but Samuel warned them, "...ye have this day rejected your God, who Himself saved you out of all your adversities and your tribulations, and ye have said unto Him, nay, but set a king over us"
Jesus has all authority but Satan only has limited usurped authority. The authority of Jesus is greater than the authority of Satan. And Jesus is willing to delegate His authority to redeemed folks in this world, saved by the blood of the Lamb. Jesus taught us the use of His authority, "...and He ordained twelve, that they should be with Him, and that He might send them forth to preach, and to have authority (power) to heal sicknesses, and to cast out devils"
(Luke 10:18-20). <!-black-> Note: those of us in the church universal can have all of the authority of Heaven but it will not do anyone any earthly good unless we decide to use it. So, I encourage you to use the authority that Jesus Christ has delegated to you. Let me mention some of the benefits of salvation. Spiritual authority is a gift from God that automatically comes along with His presence. When Christ enters the heart of an individual, in the born again experience, He brings along certain gifts to the receiver. One of these is a change of inner nature- you become a new creation. Another gift is salvation (from sins and damnation). Another is love. Another is internal peace. Another is a conscience clear of guilt. And another is authority. In other words, the authority of the believer is a spiritual gift to each true believer from Christ. <!-black-----------------------------------------> What is spiritual warfare? What does one do with his or her authority? Spiritual warfare is our fight against Satan and his imps. Obviously, we cannot use physical force or earthly legal injunctions against him because he is a spirit being. What can we do? We can use the power and authority of God against him. Authority works in conjunction with power from God to rebuke the devil and his imps when they personally come to attack you and those in your sphere of influence. You do not have to put up with that. You can say: "In the name of Jesus Christ, I rebuke you. Get behind me, Satan". The name of Jesus Christ has to be used because there is spiritual power in that name. That name helps us to become a spiritual overcomer over Satan and his hordes. Here are some scriptures that help explain that: <!-purple-> "Submit yourselves therefore to God. Resist the devil, and he will flee from you"
(James 4:7). "I write unto you, young men, because ye have overcome the wicked one. I have written unto you, young men, because ye are strong, and the word of God abideth in you, and ye have overcome the wicked one"
(1 John 2:13-14). <!-black-> Christ used His authority to attack the ramparts of the devil and Christ also enabled us, as His church, to do the same- to reach out to the oppressed, the downtrodden, and the brokenhearted to be His hand extended to bring healing and comfort to those folks who are hurting. Before ascending back to heaven, He gave us a mandate to attack the strongholds of the devil. Included in the Great Commission to us was His authoritative declaration: <!-red-> "In My name shall they cast out devils; they shall speak with new tongues; they shall take up serpents; and if they drink any deadly thing, it shall not hurt them; they shall lay hands on the sick, and they shall recover"
(Mark 16:17-18). <!-black-> This is our stewardship of the authority Jesus has given us on our behalf to minister to others. (Daniel 10:13-21). When we enter into any territory for evangelism purposes, it is first necessary for us to use our authority to attack the demon who rules that area. In other words, we have to go to spiritual warfare in order to "bind the strongman" before successful evangelism can take place. Any evangelist or missionary who fails to use spiritual authority continually can expect trouble and failure. In other words, Christ has given you ammunition (authority) and He expects His soldiers of the cross to shoot it (use it in battle) on the front lines. (Mark 16:15) and engaging in spiritual battle against the forces of evil.